Ohio fiber artist, Sally Van Nuys, loves to keep the past alive in her life. In the 1980s, as an antiques dealer and paint artist, Sally has acquired antique treasures from long ago, including pieces bearing old paint and a few hooked rugs. 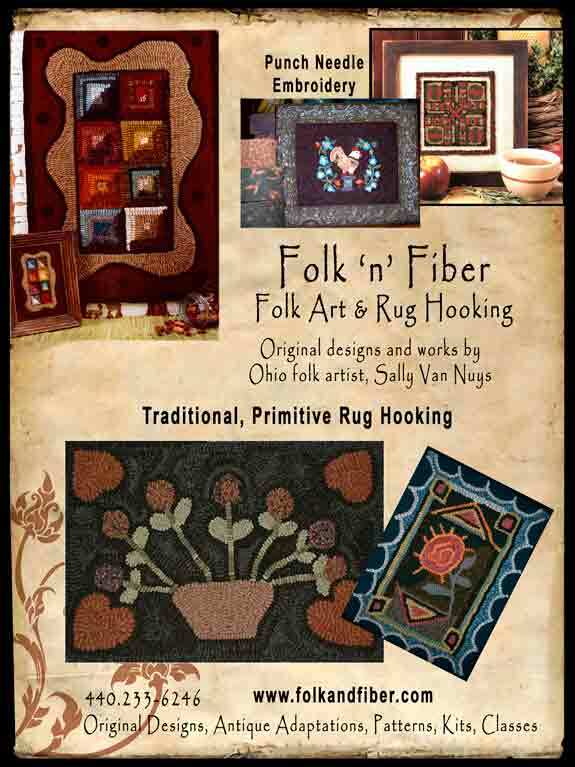 Sally began rug hooking in 1999 and immediately began designing and selling her own patterns. She teaches rug hooking classes in her home studio and offers workshops and trunk shows to shops and guilds. Sally hooks with wide cuts to achieve an antique look to her rugs, and she also designs hooked rug patterns that oftentimes mimic the antique rugs she’s seen at auction. Her Hook-a-Month rug projects are always adaptations of antique hooked rugs. 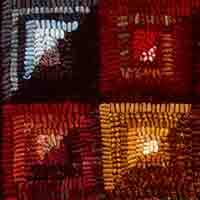 Sally’s work has appeared in The Wool Street Journal, a magazine for primitive rug hookers, Country Marketplace magazine, and she is a regular contributor of original rug hooking and needle punch projects published in Create & Decorate magazine. Her work was juried and selected for Early American Life magazine’s Directory of Traditional American Crafts in 2005. Sally is committed to excellence in craftsmanship and attention to detail. She hopes to help keep the past alive for others by teaching and designing rugs, as well as sharing her knowledge of rug hooking and color selection for hooking antique-style rugs.